Learn about the emoticons and smileys you can use of Facebook. Also know how to make bold text and underlined text in your FB Chat. Emoticons are small picture icons used for expression of feelings on chat platforms, online status updates and comments. These emoticons (also known as smileys) are very important as written words can not say everything. These small picture convey different moods like smile, laughter, sadness, anger, blush, surprise etc. You can use these emoticons on Facebook as well. You can use them in FB chat, status updates and while making comments too. If you thought that through emoticons Facebook is capable of expressing merely smiles and sadness -then think again! 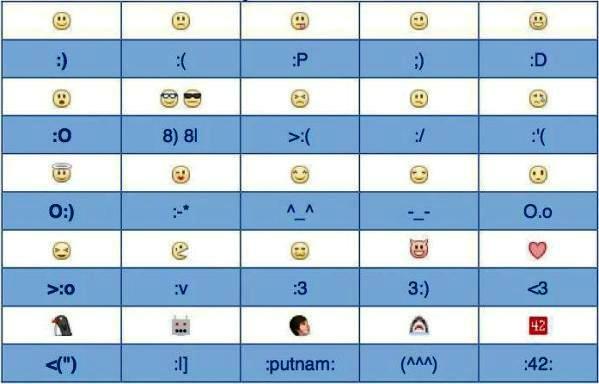 Below is the complete list of emoticons (aka smileys) that are supported by Facebook platform. But before that here is an extra tip! By the way, if you want to impress your friends even more, you can post text art on Facebook. Table showing Facebook smileys and emoticons. bold and underline trick doesn’t work.